An ancient grain that has been grown and consumed for years, barley is primarily used for animal feed as well as malt for brewing beer. Due to its recent Health Canada food claim, barley is also now gaining steam as a tasty, healthy, local food. Pot and pearl barley are the most common barley food products available. Pot and pearl barley are processed by “pearling,” which removes the inedible hull and creates a white-coloured, quicker-cooking product. Barley can also be ground into flour using a variety of milling processes. Hulless barley varieties can be ground using any milling process to produce whole-grain barley flour with minimal or no pre-processing. Hulled barley varieties must be de- hulled or pearled before milling. Barley flour can be used as a complete or partial substitute for wheat flour in recipes. Explore these resources to assist you with manufacturing and processing barley food products for the domestic and international market. 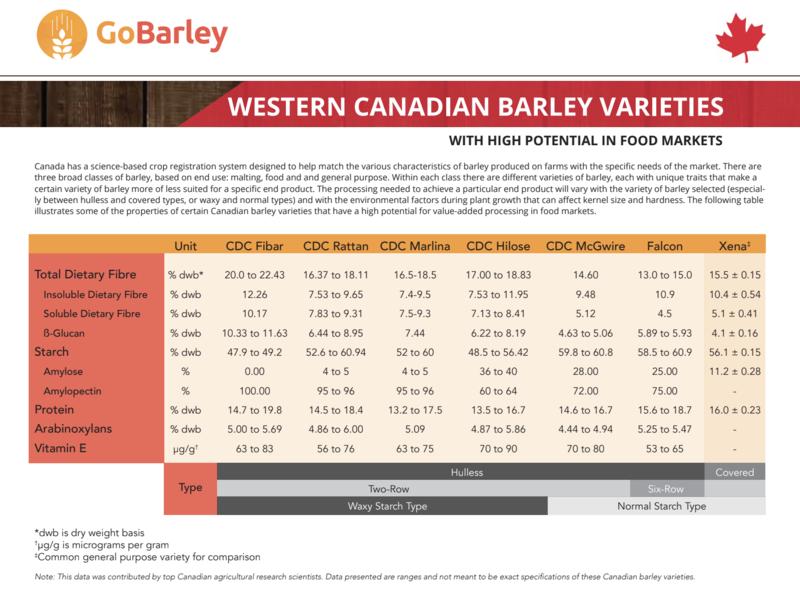 The following table illustrates some of the properties of certain Canadian barley varieties that have a high potential for value-added processing in food markets. 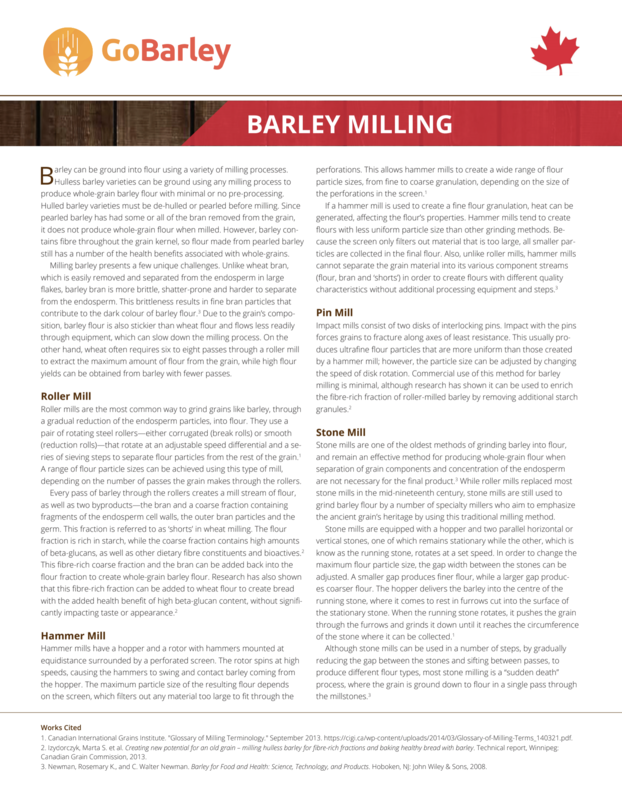 This fact sheet contains critical information for milling barley and the variety of processes that can be employed. 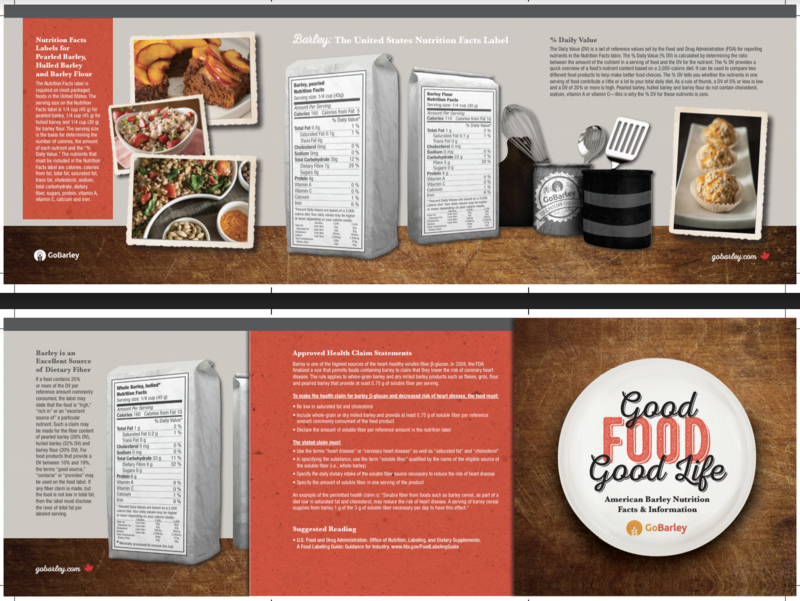 The use of the government approved health claims on food labels is a valuable marketing tool. In 2012, Health Canada determined there was enough scientific evidence to approve the claim that, “barley fibre helps reduce/lower cholesterol, (which is) a risk factor for heart disease.” The United States Food and Drug Administration approved a similar cholesterol reducing health claim for barley in 2006. 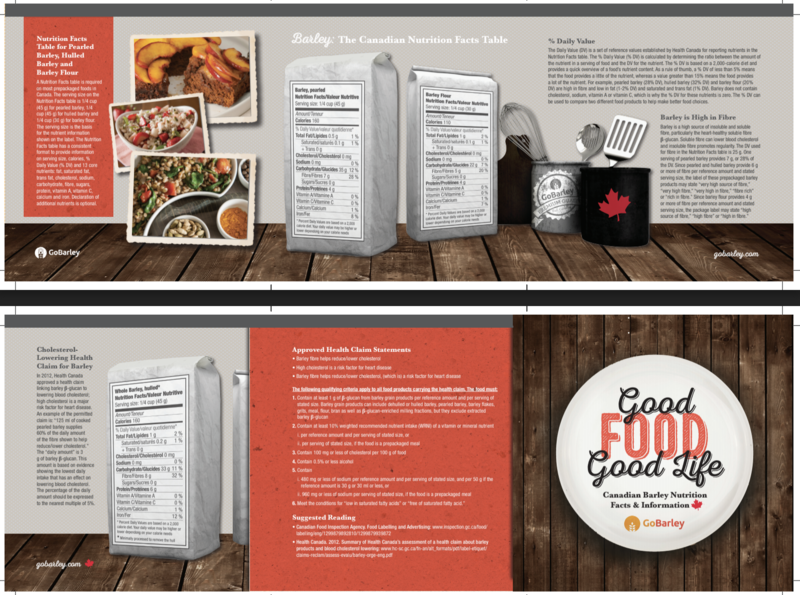 If they meet the necessary requirements per serving, barley products can be labelled with the health claims and/or other nutrient claims, such as “source of fibre.” Click the nutrition facts brochures below to learn more about barley’s health claim and the benefits of using it in your products.